Work with the G.E.A.R.S. 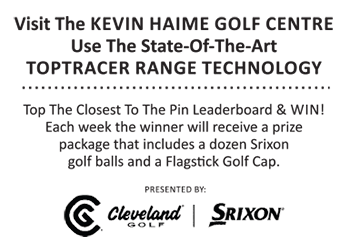 3D motion capture system at the Kevin Haime Golf Centre has helped their team study the swings of both amateurs and professionals and learn what generally separates what they do in a golf swing. In the latest print issue of Flagstick Golf Magazine, Kevin Haime shares those observations as it relates to the backswing. (We’ll publish it online soon) This accompanying video shares the key points to help you get some focus on your backswing motion.